Continuing Education Units (CEUs)-CEUs represent a system for setting standards for quality learning activities that are designed for individuals in the early care and education field. 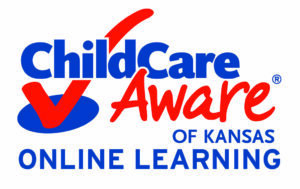 Child Care Aware® of Kansas provides consistent, timely approval of these learning activities. Kansas/Missouri Core Competencies-The first edition of the Core Competencies for Early Childhood and Youth Development Professionals in Kansas and Missouri combines the knowledge and skills outlined in previous versions of the Kansas & Missouri Core Competencies for Early Care and Education Professionals (2001) and Kansas & Missouri Core Competencies for Youth Development (2006). Core Competencies are the framework that defines standards for early childhood and youth development professionals and what you need to know to provide quality activities and interactions. Careers in Early Childhood Education: A Kansas Guide – A unique resource that highlights a variety of careers in the early childhood field that will assist individuals in planning their career path or finding detailed information about furthering their education.